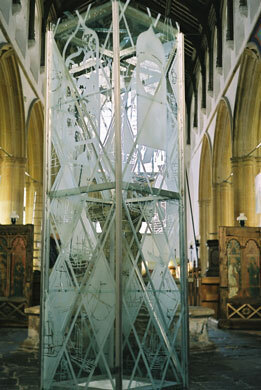 Temporary site-specific installation in the bell-tower, Salthouse Church. Norfolk. A literal translation of the Guernsey-French title might be, ‘in the same brine’.